The STI 2011 was made by the 1911 pistol manufacturer STI International, Inc. STI International, Inc is widely known for making competition 1911 handguns and parts for 1911 handguns. Until Delta Force dumped the 1911 in favor of the Glock, STI International, Inc made the frames for the Delta 1911 pistols. The STI 2011 was made some time before the year 2011. 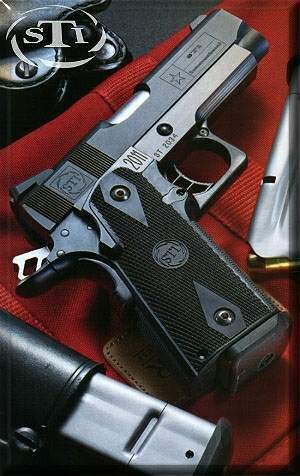 The gun is not listed in the 2011 STI International, Inc. catalog.